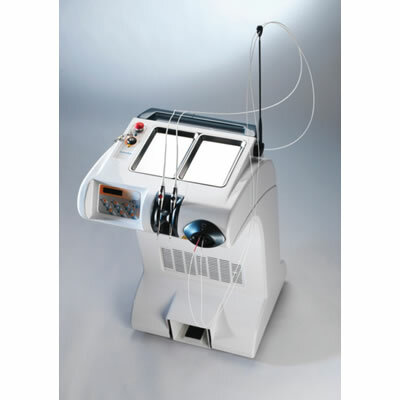 The YAP dental laser from Claremont Medical is a versatile instrument meeting the needs of both general practitioners of dentistry and their patients. The YAP laser's specific 1340 nm wavelength provides the YAP laser with a unique advantage of being extremely well absorbed by water, making it possible to cut naturally hydrated soft tissues such as the gum, without the risk of necrosis. It is also well absorbed by hemoglobin, to coagulate and control bleeding, in addition to nickel, titanium, and steel. The YAP laser emits in pulsed mode, and tissue warming during treatment is extremely limited. Using the control panel, impulse power, rate, and duration are simply and easily selected.